In sales teams across Indianapolis and around Hoosier State, you can count on a percentage of sales professionals doing their jobs well and percentage of them doing poorly. It is the middle group that sees both excellence and futility and learns from the challenges. In the efforts to keep success in the sales organization, Dale Carnegie training programs, attended by every salesperson, is well worth the time and effort. When management announces a training session, everyone needs to be there. Salespeople who take learning seriously grow into true professionals. It is a fact that the majority of people in sales have never opened a sales book or attended training classes beyond the first day or first week on the job. There is only one clear way to get greater success in sales and that is always found in training. Once moved to practice and technique, the skill set increases at the same rate as opportunity. But it does take a little time. Strategy, purpose, energy, and focus come from effort and understanding. Here are five organizational skills that support success. 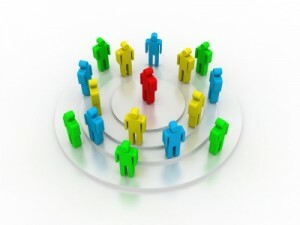 People skills: Listening, asking questions, and gathering information with positive attitude and results are important. Product skills: The best product experts are often the best salespeople. Student of the business: Know what the industry is doing here and nationally. Know the competition and the differences between your products and theirs. Then, be ready to explain differences based on your research. Planning skills: Time management is a great aspect to sales. Make time for follow up and for new client acquisition. Take just 10 minutes every day and read a quick chapter or two out of the Dale Carnegie classics. Personal management skills: Come to work to work, Work your plan and be there for clients to help and serve them as they make choices. Take the Carnegie courses whenever possible for both growth and opportunity. They can make you better and get you into the top percentages in sales and services!